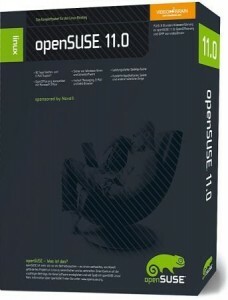 This will be my second review of popular Linux distributions. This time, I will be taking a look at Mandriva 2008.1. Mandriva is a distribution that is built with KDE as its main desktop environment. This particular version comes packaged with KDE 3. Over the next few weeks or months, I intend to review some of the more popular Linux distributions. In order to do so, though, I feel I need to begin by offering a little bit of background into some of the more integral parts of Linux. Throughout my reviews, I will most likely make some reference to some of these items and the way a distribution behaves with a default installation. However, things like the desktop environment (which is what I’m going to focus on in this post) are almost always completely interchangeable between distributions, and should only be considered pros and cons of a distribution when discussing the default behavior of that distro. Although this is on the outer fringes of technology-related information, I just wanted to post a happy story about an experience with customer service. Those of you that have followed this blog for a while should know that I have had some very poor experiences with customer service in the last few years. I was honestly beginning to think that it was perfectly normal for companies to completely ignore their customers any time a support issue came up. 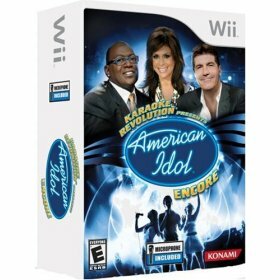 A few weeks ago, we purchased “Karaoke Revolution – American Idol Encore” for my Nintendo Wii. Most of my family is obsessed with American Idol, and thought the game would be a lot of fun to play. Unfortunately, the game just didn’t even come close to living up to our expectations.